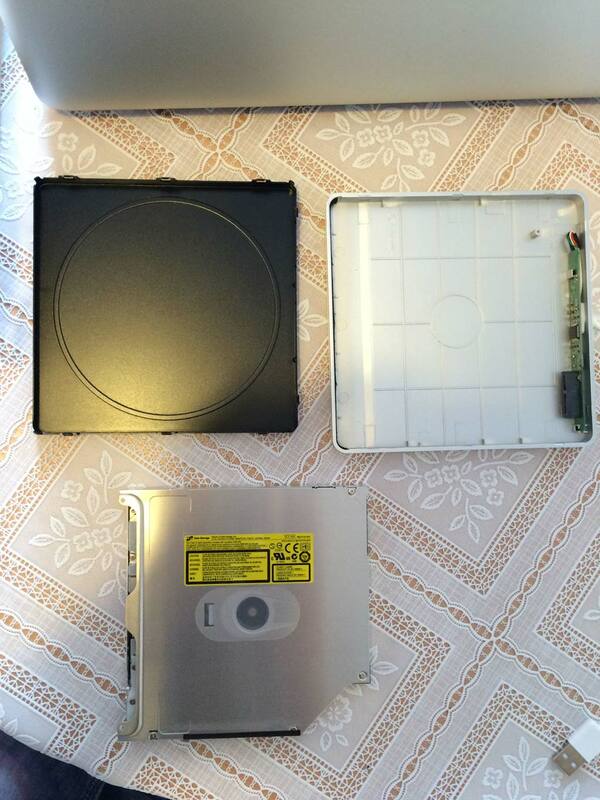 In this post I discuss adding a second hard drive to a 13″ Macbook Pro by swapping the optical drive with an HD caddy. This has to be one of my favourite laptop modifications because of how it makes up for what has become a pretty limited set of ports on Macbooks. Thunderbolt is great if you have the hardware, hubs, and money to invest. 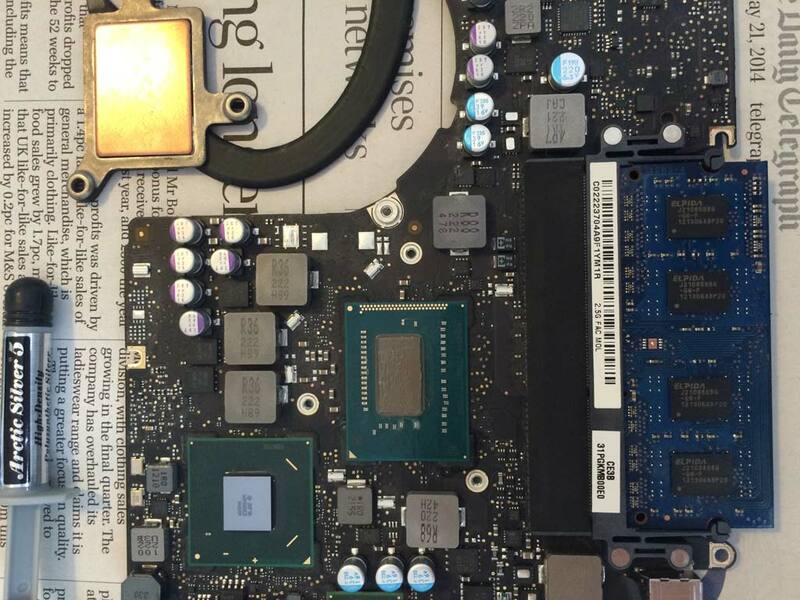 The Retina Macbook Pros only compounded the problem further by eliminating the Firewire and Gigabit Ethernet ports. Being offered a Thunderbolt to Firewire/Ethernet converter for $30 is a slap in the face considering you are sidelining Thunderbolt’s daisy chaining feature. Thunderbolt hubs are the most natural extension for the Thunderbolt standard and also come in at an additional premium. Spending $200-300 for a hub on top of what was probably a $2000+ laptop purchase in order to gain back ports that were until recently standard can ruffle a few feathers. As you can probably guess I wish that Apple had upgraded its Macbook Pro line along a different path. I like computers that can be taken apart, upgraded, and fixed. 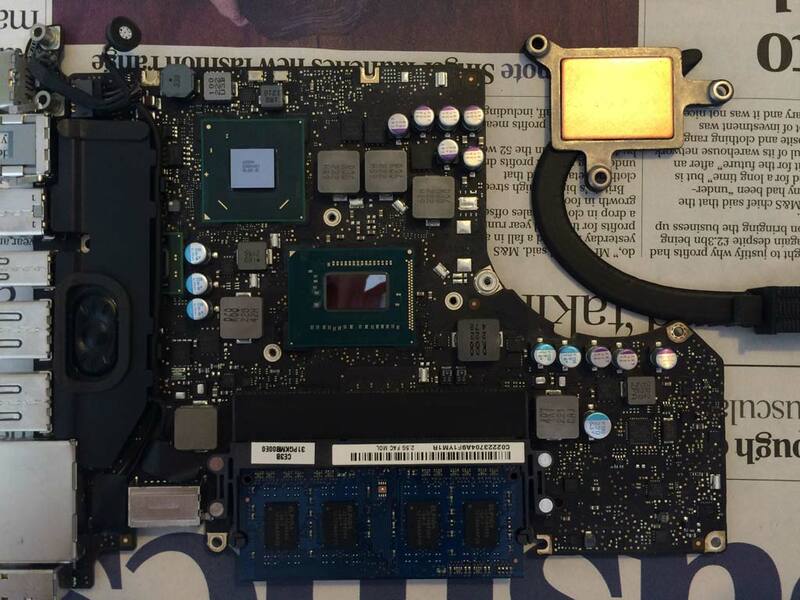 The new configuration will use a 240Gb Intel 530 SSD as the boot drive and will recycle the 500Gb Toshiba 5400 RPM drive as the secondary storage disk. 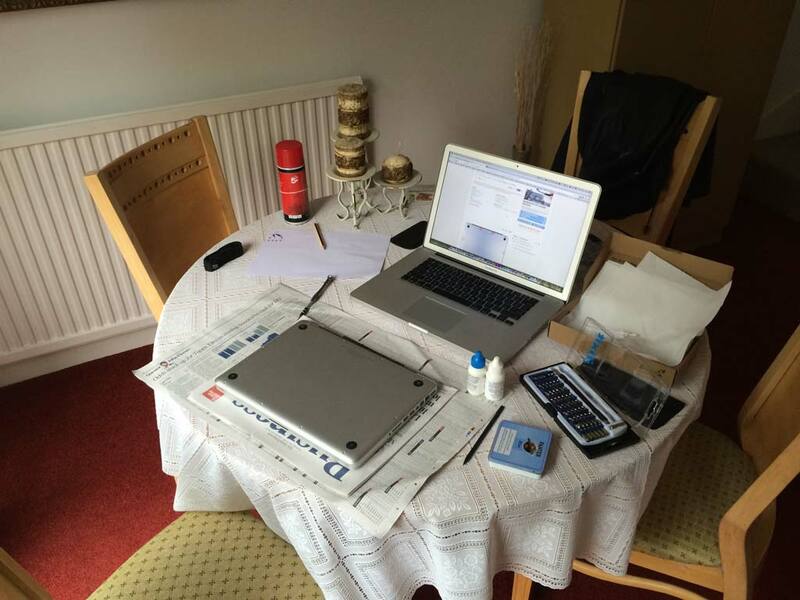 In addition I will also change the now two year old stock thermal paste with Arctic Silver. Needless to say that the computer will receive a good cleaning and good old TLC. Having already done several conversions on other computers the task at hand was pretty straightforward. 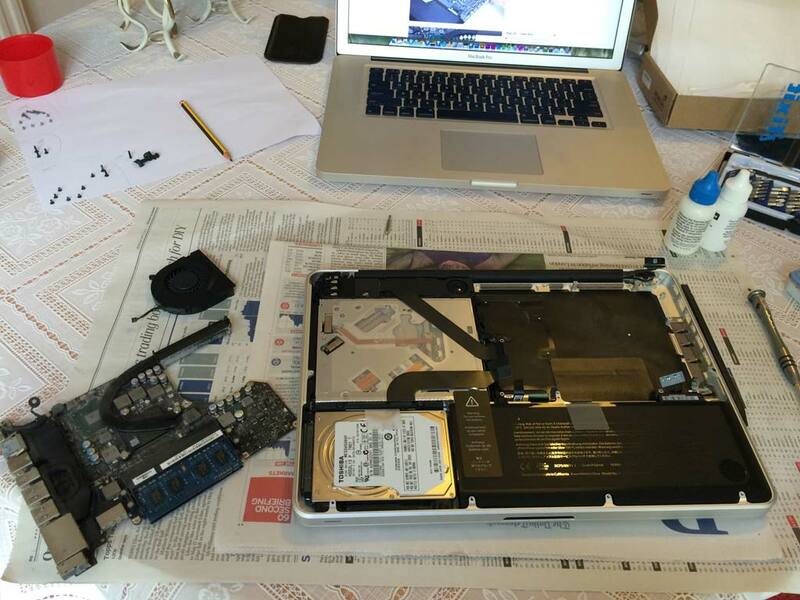 As usual I refer to the excellent guides on ifixit. It’s always best to have documentation on hand instead of taking the risk of working from memory. The first steps were to verify the backups were complete and to move them off the current drive. 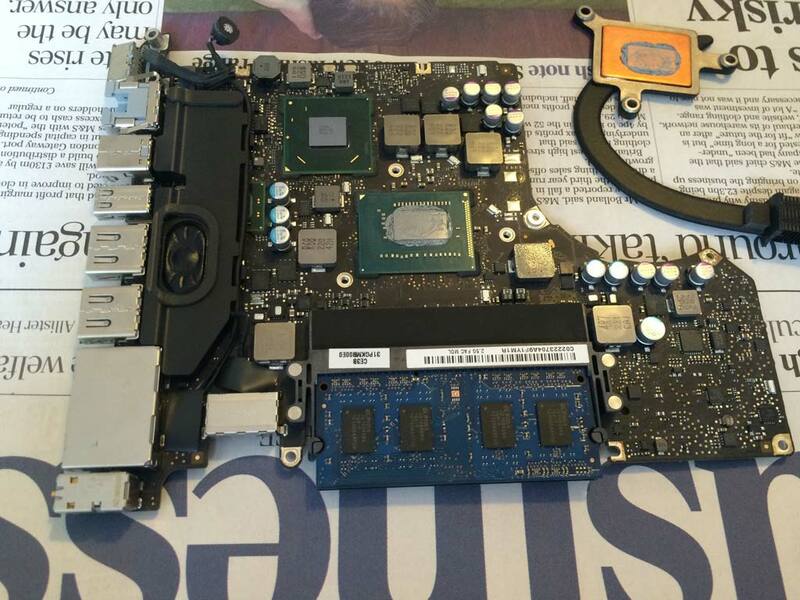 The next step was to disassemble the machine down to the Logic Board so I could remove the heatsink, clean it up, and apply the new thermal paste. The recommended “grain of rice” quantity of Arctic Silver was applied and evenly distributed across the CPU. From there it was reassembling the computer up to the point where most of the internal cables were still disconnected so that I could focus on removing the optical drive and swapping out the hard drives. I had already gone ahead and zeroed out the SSD and created a bootable Mavericks installation drive. With the machine now put back together I could focus on verifying that everything was in working order. The computer successfully turned on, booted into the installer, and recognized all of its connected appendages. 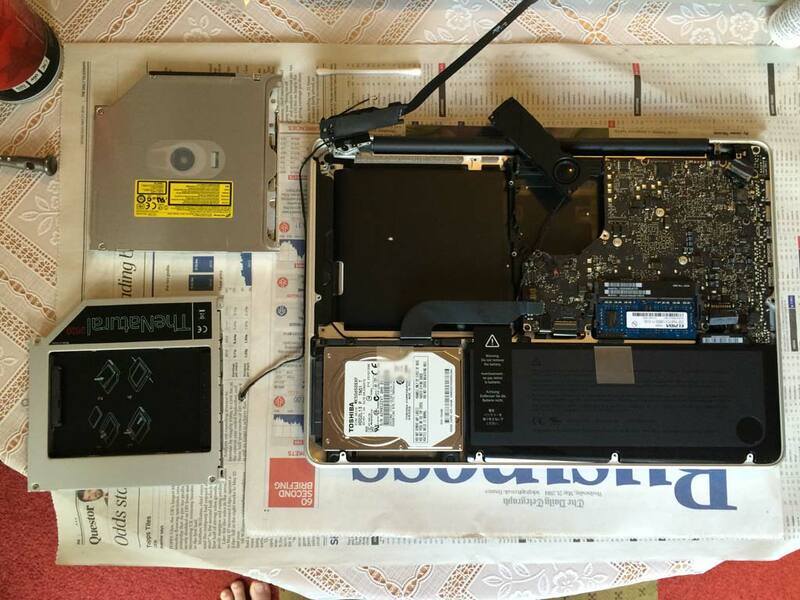 I will be performing today's surgery with the assistance of Nurse 15" Macbook Pro, who is also rocking two hard drives. I have lost count of the number of times I have done this. 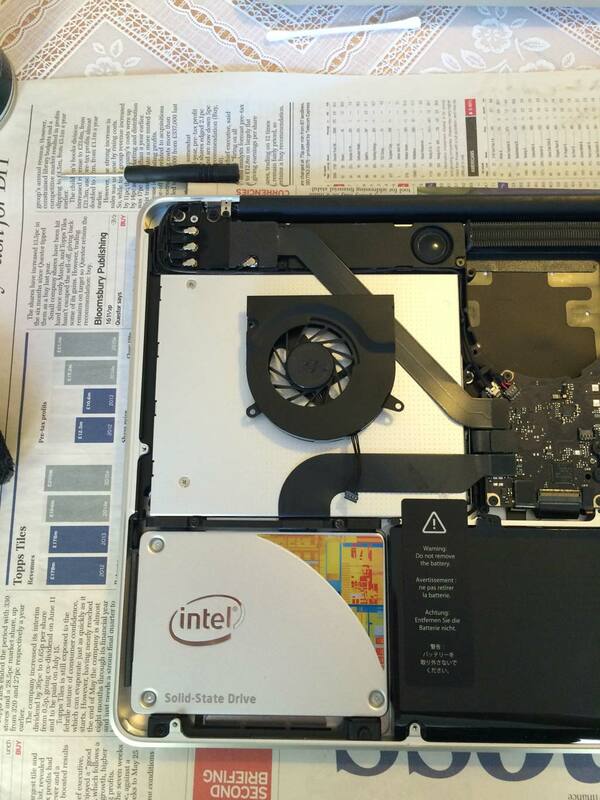 I still use instructions because I would rather not ruin $2000 worth of someone's laptop. Stock thermal paste (grease) is a poor state of affairs. Turns computers into ticking time bombs. The CPU die has been cleaned to show its nice shiny finish in preparation for the Arctic Silver application. 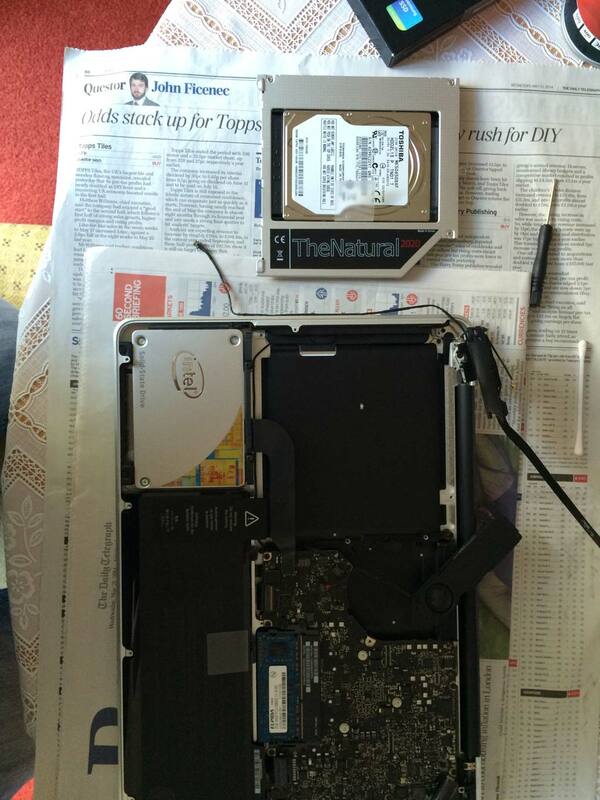 Nothing like a little transplant surgery to start the day with. The second drive has settled into its new home. SSD and HD caddy are in. I also installed a new fan. The optical drive is ready to move in. Once Mavericks was installed I set the computer to writing a single pass of zeros to the old mechanical drive. In the mean time I prepared the backup files and provided software. Don’t forget to install Trim Enabler unless you want to slowly kill your SSD. The data drive is all clean and I have installed and updated just about everything. The last step was to create a recovery partition. I used Recovery Partition Creator 3.8. That’s all folks! Thanks for tuning in.